At a diner near the Rte. 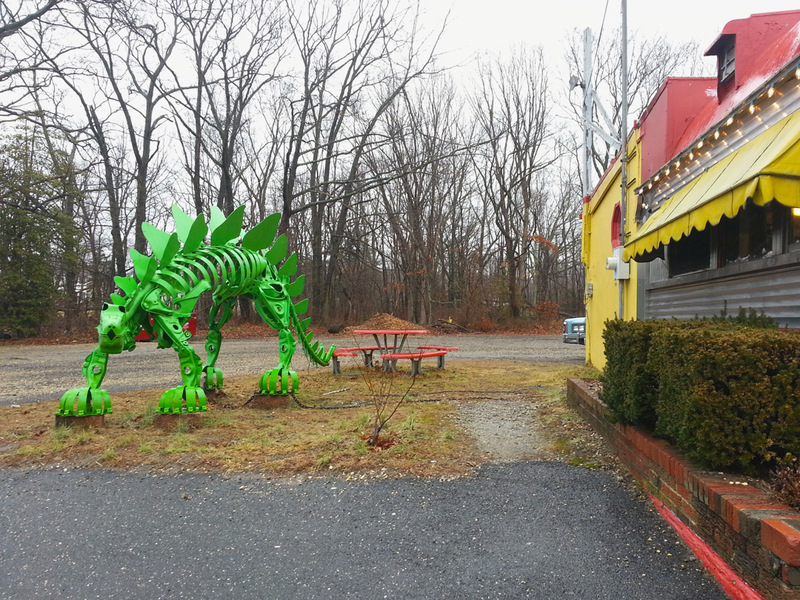 34 circle in Wall is this colorful dinosaur statue made of car parts by Colts Neck/Farmingdale resident Jim Gary, famous for such creations. He passed away in 2006, but had a very interesting history you can read about here. We feel a better name for the establishment would be The Dinersaur, but apparently we are too creative for our own good, since it is called, blandly, The Roadside Diner. We’ve not eaten there (yet).